The fall of the Berlin Wall forms the thematic starting point and simultaneous framework of this issue. 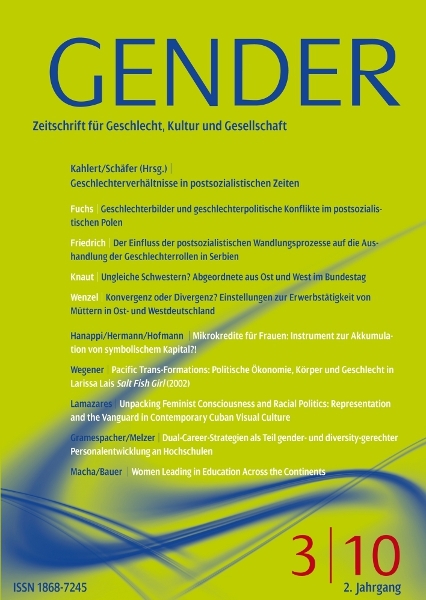 The essays reflect on the effects of the reform processes of that time on gender relations and their effects up to the present time. They provide an insight into the extent to which the fall of the Berlin Wall influenced and continues to influence life realities and gender constructions in the West and East.